Trustees Apoliona, Machado and Lindsey want another term. Could high-profile challengers upset the status quo? Possibly the safest electoral seats in Hawaii have been on the Office of Hawaiian Affairs Board of Trustees. For 20 years, voters have consistently returned the same people to the board of OHA, which is charged with improving the lives of Native Hawaiians regarding land, culture, economic self sufficiency, health, education and governance. Saturday’s primary election to fill four seats on the board features two trustees who have served since 1996 — Colette Machado and Haunani Apoliona — and have rarely experienced a close election. Another trustee, Robert Lindsey Jr., has served since 2007. The seats up for election include Apoliona’s at-large position, Lindsey’s Hawaii Island seat, Machado’s Molokai seat and the Kauai seat currently held by Dan Ahuna (who is unopposed). Machado and Apoliona are past OHA chairs and Lindsey is the current chair. 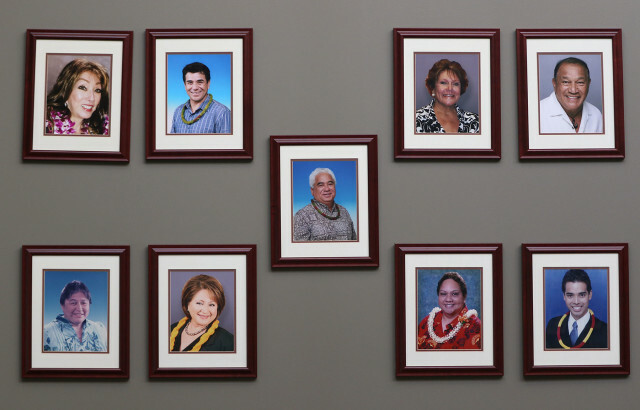 Photos of the current trustees at the OHA’s headquarters on North Nimitz Highway in Honolulu. Machado and Apoliona are also chair and vice chair, respectively, of OHA’s Committee on Resource Management, which has a huge kuleana (responsibility): to recommend policies for management of the OHA’s investment portfolio and other financial matters, and to develop policies for land acquisitions, dispositions, development and management. Its core operating budget was $36 million in 2015. 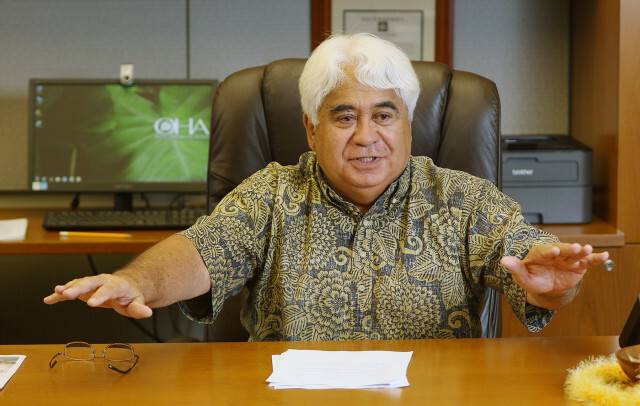 Generally, the current OHA board has operated with a certain steadiness, although there are continuing legal battles with trustee Rowena Akana, who is on the outs with the current board leadership. • The actions of Kamana‘opono Crabbe, OHA’s Ka Pouhana or CEO, after Crabbe sought an opinion from U.S. Secretary of State John Kerry regarding the status of the Hawaiian Kingdom. • The indirect financial assistance for the Nai Aupuni self-governance convention (OHA gave about $2 million to a nonprofit that gave money to Nai Aupuni). • The fight over telescopes and cultural and environmental rights on Mauna Kea (the board rescinded its support for the Thirty Meter Telescope project). This election, several challengers are campaigning to shake up the OHA board. 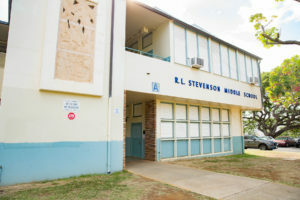 They include a former trustee and independence activist, Mililani Trask, and Kelii Akina, head of the Grassroot Institute of Hawaii. 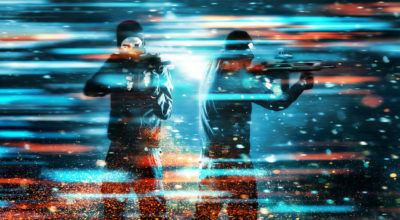 Though they have very different backgrounds, there has been speculation that they might be in cahoots because both want to reform OHA. Office of Hawaiian Affairs Board Chair Robert Lindsey Jr. in September 2015. Trask is also worried about OHA’s funding and helping Hawaiians struggling to find housing, jobs and an education. 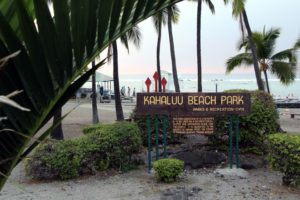 Too many Hawaiians, in her view, are incarcerated or dealing with drug addiction. 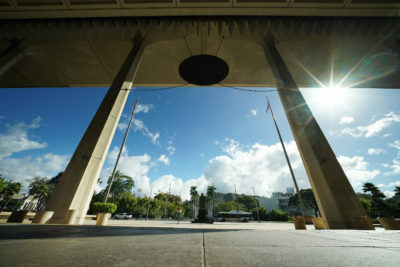 Akina took the lead role in suing to halt a scheduled Nai Aupuni election of convention delegates, forcing Nai Aupuni to cancel the election last fall. He believes the self-governance process is unconstitutional. First, I will work to stop OHA from continuing to waste tens of millions of dollars on creating a divisive, race-based sovereign nation. Instead, I will insist that those funds be spent on meeting real needs of Hawaiians, such as solving the problem of homelessness, and providing for education, housing, job opportunity and health care. Secondly, I will work for term limits so that the same trustees do not remain in office for decades, continuing to pursue failed policies. Akina believes that OHA should work to unite people rather than divide them. 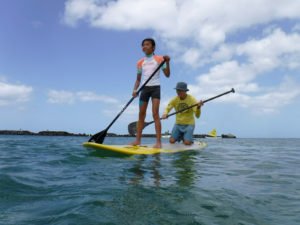 “That’s the Hawaiian way, which recognizes that we are all boats in the same harbor,” he said. Trask and Akina finished fourth and fifth, respectively, in the OHA at-large trustee race in 2014. 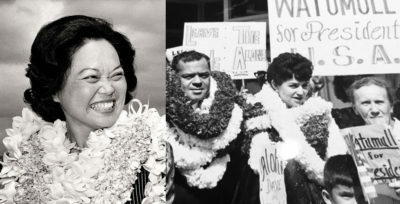 The top three finishers, including Akana, were incumbents who each were returned to office that year. 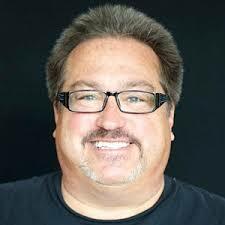 Lindsey easily won his Hawaii Island trustee contest in 2012 while Kauai Island trustee Ahuna defeated 10 other candidates. 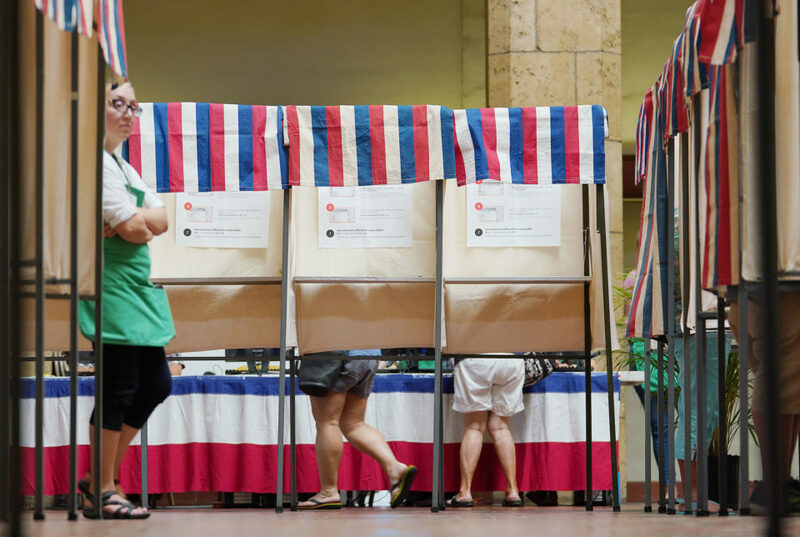 In addition to Akina, Apoliona also faces five other challengers for the at-large seat: Daniel Anthony, Douglass Crum, Leona Mapuana Kalima, Paul Ledwith Mossman and Kealii Makekau. 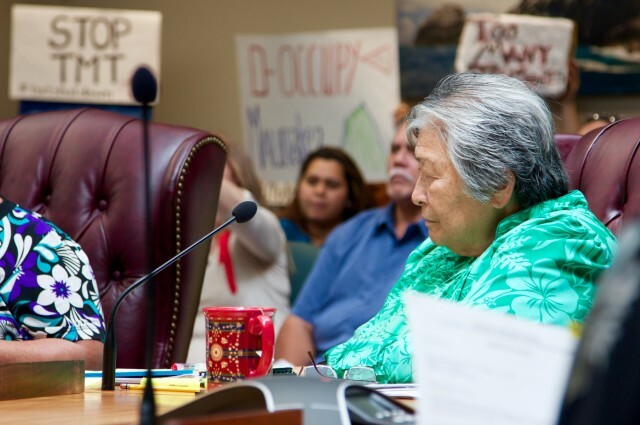 OHA Trustee Haunani Apoliona listens to testimony during an April 2015 meeting. Apoliona is also concerned about the high incarceration rates of Hawaiians. 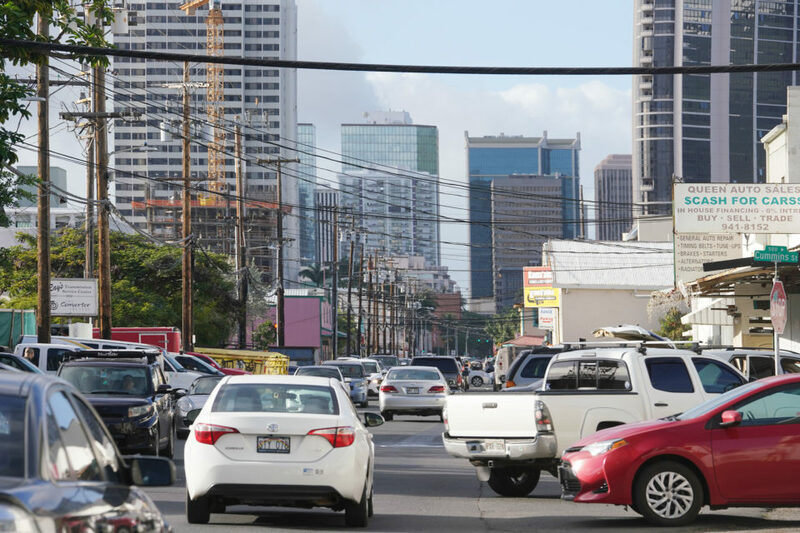 As well, she would like the elected leaders of a Native Hawaiian governing entity (such as one that could come from the Nai Aupuni convention process that was held in February) to “renegotiate or litigate” over ceded lands revenues for all Hawaiians. The lands are 1.8 million acres that belonged to the Hawaiian monarchy prior to the 1893 overthrow. 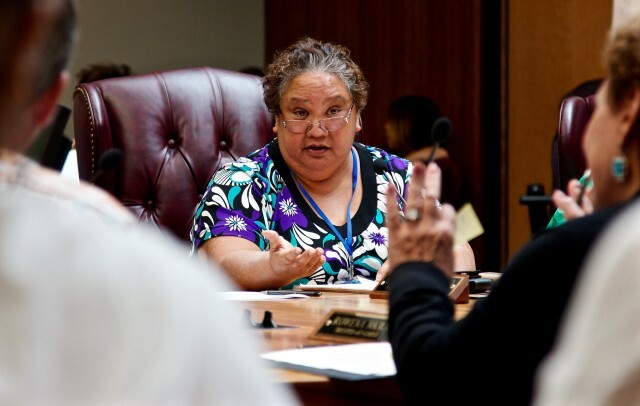 OHA Trustee Colette Machado makes a point during an April 2015 meeting. Machado, who was unchallenged for her Molokai trustee seat four years ago, faces challengers Jerry (Manuwa) Flowers and Alapai Hanapi this year. 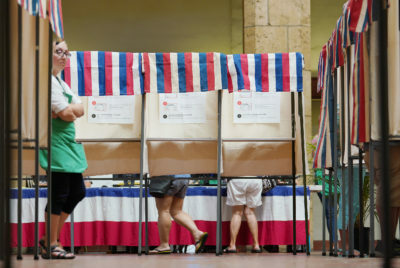 OHA elections are open to all registered voters in Hawaii. If no candidate receives a majority of the vote, the top two finishers will face off in the November general election. “If you care about our host culture and the future of Hawaii, you should take the time to educate yourself about the candidates and vote in the OHA races this election year,” Crabbe said.